One of Southern Nevada’s largest industrial developers found itself in the spotlight in November. Brian Janis/Phototechnik International NAIOP Southern Nevada hosted a guided tour of several commercial real estate projects around the valley. More than 300 industry professionals attended the November event. The three-hour tour, attended by many in commercial real estate and related fields, gives a glimpse of some of the major developments around the area, telling somewhat of a story of progress in the region for the past year. Prologis’ tale of major plays in Las Vegas started in 2014, which many industry people credit as the beginning of the industrial boom. 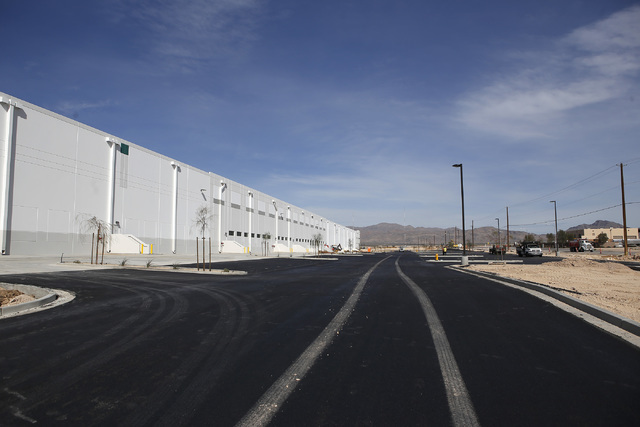 “We moved first, and fast,” said Fritz Wyler, managing director at Prologis, of the group’s 456,000-square-foot Las Vegas Corporate Center No. 19 at Pecos and Gowan roads, which was the first large-scale industrial development to be built after the recession. It was quickly leased before construction was completed. “The market has historically lacked a supply of big-box logistics product, and Prologis saw an important opportunity,” Wyler said. The region also serves neighboring states with large populations: 24 million in Southern California and more than 6 million in Arizona, Wyler said. Since that project, millions of square feet have been developed in the Las Vegas Valley. Wyler said Las Vegas will see a record net absorption that will surpass 6 million square feet. “Even with the robust development pipeline, the overall industrial/logistics market has only 4 percent vacancy and is in a healthy balance, with supply matching underlying demand from regional and national customers,” Wyler said. As of the third quarter, Colliers International Las Vegas had tracked 5.2 million square feet of completions for the valley with another 2.7 million on the way in the fourth quarter. That would bring almost 7.9 million square feet of industrial to the valley this year. Net absorption had outpaced completions in 2017, sitting at 5.4 million as of the third quarter, according to the Colliers’ report. That’s also up from the more than 3.3 million square feet of completions Colliers tracked for 2016. Jay Heller, 2017 NAIOP Southern Nevada president and co-owner of Las Vegas-based Heller Cos., said there was concern of where vacancy would land at the start of the year with all the new development coming online. “It was pretty impressive that by the end of the third quarter that there was more absorption than there was supply,” Heller said. Prologis has helped move the needle on some of these recorded completions. The megadeveloper completed a 525,000-square-foot building in early 2017 for Bed Bath and Beyond at its Interstate 15 Logistics Center. 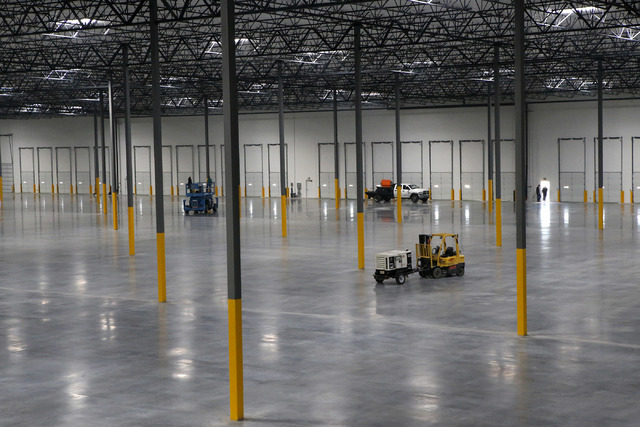 In the early part of the fourth quarter, construction crews finished work on Prologis’ 622,000-square-foot development in the same park, which has been pre-leased to two tenants: Astound and VMI Spreetail, an online e-retailer. The 2.1-million-square-foot project has two more buildings planned: a 630,000-square-foot industrial building with a 36-foot clear height and another 350,000-square-foot rear loader. The next phase is set to begin in 2018, Wyler said. Prologis wasn’t the only developer on the list of projects on NAIOP Southern Nevada’s annual tour. Heller said roughly 322 industry people showed up to see what was on display for 2017. 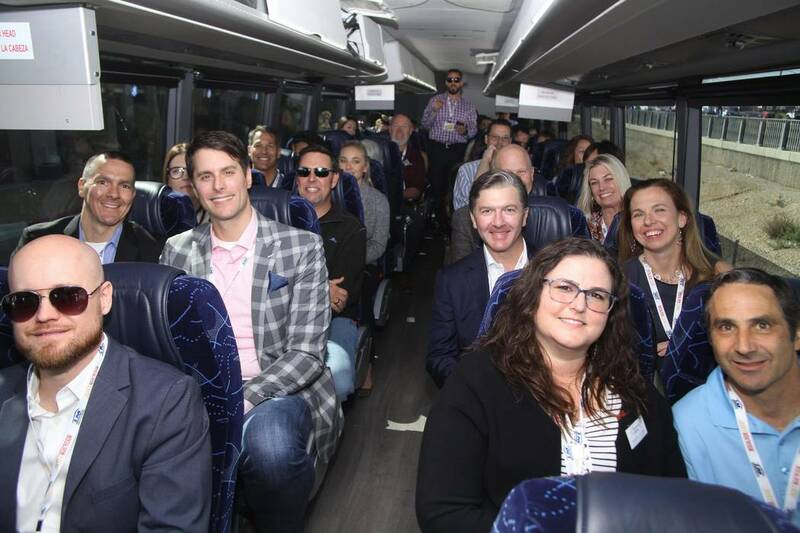 The eventgoers, who rode in four separate buses around the valley, were led by commercial real estate experts around town. It’s a good way to see what’s been completed, under construction or planned, Heller said. Developers such as Majestic Realty Co.’s 295,000-square-foot industrial development in its Beltway Business Park. Pannatoni Development Co. also had its South 15 Airport Center, and other projects, listed. The group completed more than 482,000 square feet of industrial space in mid-2017. Harsch Investment Properties, Dermody Properties and Kansas City, Missouri-based Van Trust Real Estate LLC, which has a 3.2-million-square-foot project under construction in North Las Vegas at its 170-acre site near Lamb Boulevard and Interstate 15. At the end of November, Van Trust acquired another 73 acres near the Las Vegas Motor Speedway to build an industrial project north of 1 million square feet at its newly acquired Tropical Distribution Center. Other large projects included Aristocrat Technologies’ new two-building, 180,000-square-foot headquarters planned in the Summerlin area. That project is set to come online early next year. Other office projects included Gardner Co.’s 110,705-square-foot office project in the UNLV Harry Reid Research & Technology Park, which is pegged for completion in 2018. Overall, more than 40 developments were on the list of the 2017 NAIOP bus tour.